George Bernard Shaw is well known for his witticisms and one-liners and these abound in this entertaining but also thought-provoking comedy. Bernard Shaw was born in Dublin in 1856 but came to London aged just twenty. He was a shy man who created the persona of G.B.S., showman, satirist, controversialist, critic, wit and dramatist to enable him to speak out politically and socially. He wrote 52 plays and died in 1950, remaining physically and mentally active up to his death. In George Bernard Shaw’s amusing satire on the English class-system, later successfully adapted for film and musical-theatre as My Fair Lady, Henry Higgins makes a bet that he can pass flower-seller Eliza Doolittle off as a lady in high-society by using his talent as a phoneticist to disguise her Cockney accent. 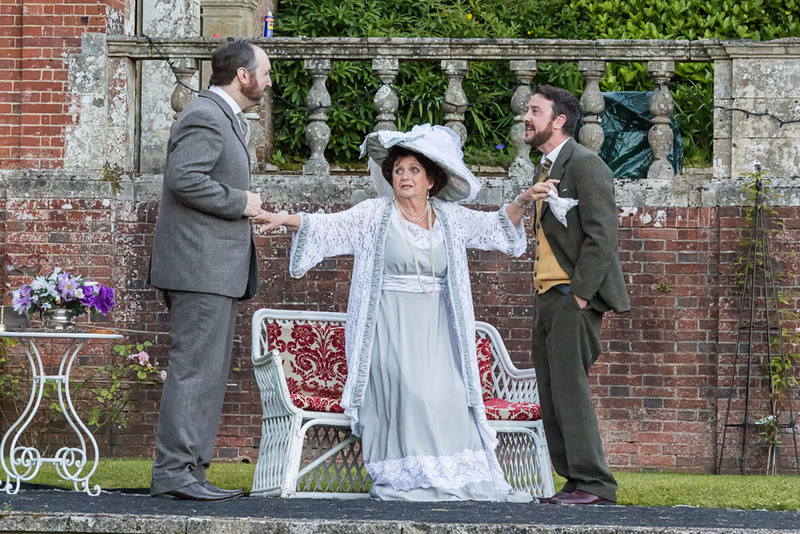 Jonathan Barney-Marmont is outstanding as Higgins although his undoubted talent is overshadowed by that of Katherine Evans as Eliza Doolittle. Following in the iconic footsteps of Julie Andrews and Audrey Hepburn, Evans gives the finest, mature, performance of her already impressive career. 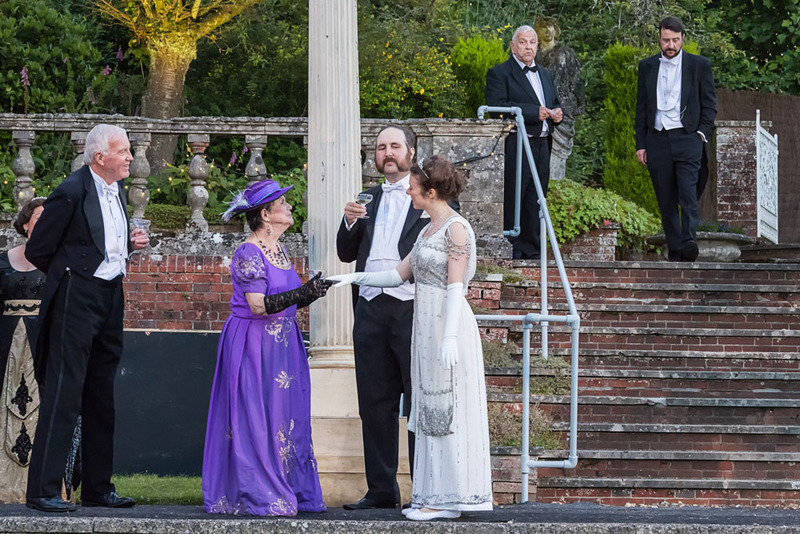 Adam Taussik impresses as Colonel Pickering and there is fine support from Hazel Burrows (Mrs Higgins) and William Baggs as Eliza’s father, with Maria Head, Katarina Smith and Christopher Gardener as the Eynsford-Hill family. 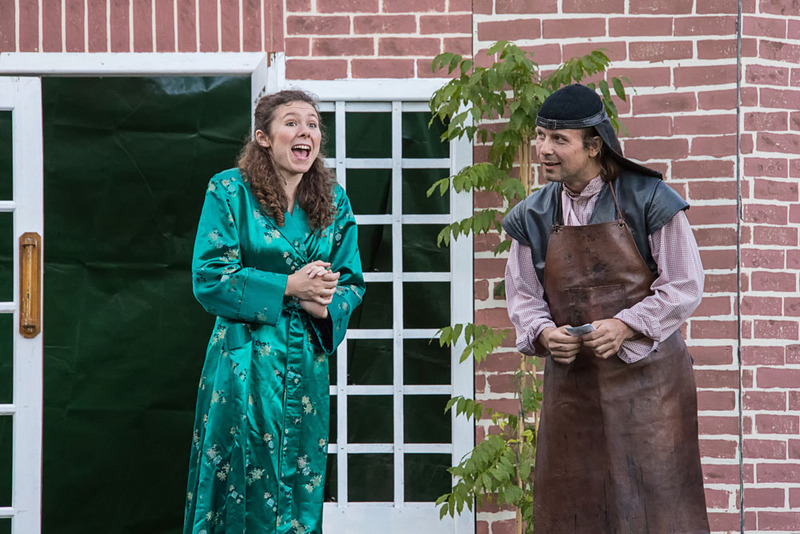 The open-air production, directed by Meri Mackney, looks great, with the whole cast beautifully dressed and some fun, creatively-constructed, transportation. Take a chair and picnic – enjoy! It is very rarely that I watch a show and come away not being able to think of anything in it that could perhaps have been done differently to improve it. Yet this was the case with Maskers’ outdoor production of George Bernard Shaw's classic play, which was nothing short of exceptional. The direction and the production as a whole made brilliant use of the sumptuous surroundings of Hamptworth Lodge. When the property changed hands a few years ago, it was uncertain whether the archery lawn would still be available for shows. It is a very great credit to the current owners that it is, as this type of 'class analysis' works extremely well in the complex surroundings. It is not easy adapting stage shows to the open air, particularly regarding sound and lighting and the extremely long (and very public) entrances, but this show really made full use of the space. 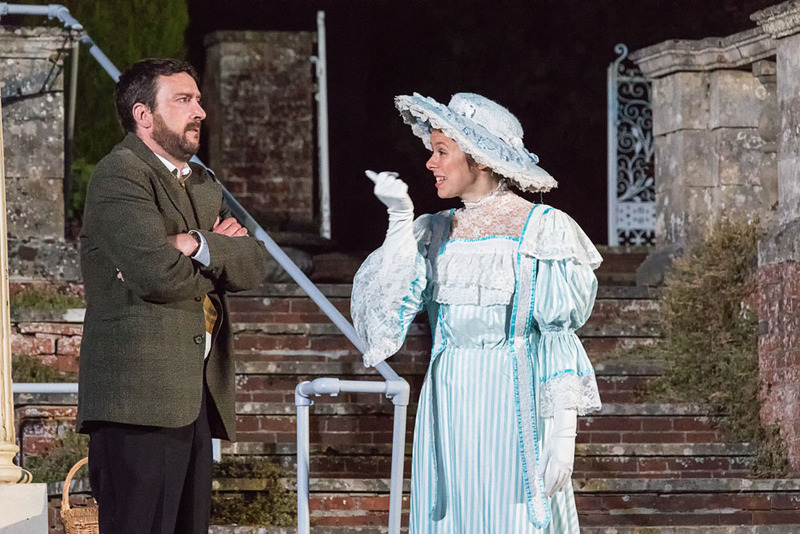 Katherine Evans was nothing short of sublime as the common, then graceful, Eliza Doolittle. Her guttersnipe flower girl accent, complete with distinctive nasal whine, was extremely entertaining, and contrasted markedly with her refined later persona. Jonathan Barney-Marmont was delightfully obnoxious as Eliza's phonetics teacher, the egalitarian Professor Higgins, while Adam Taussik seemed very natural as the slightly bumbling Colonel Pickering. 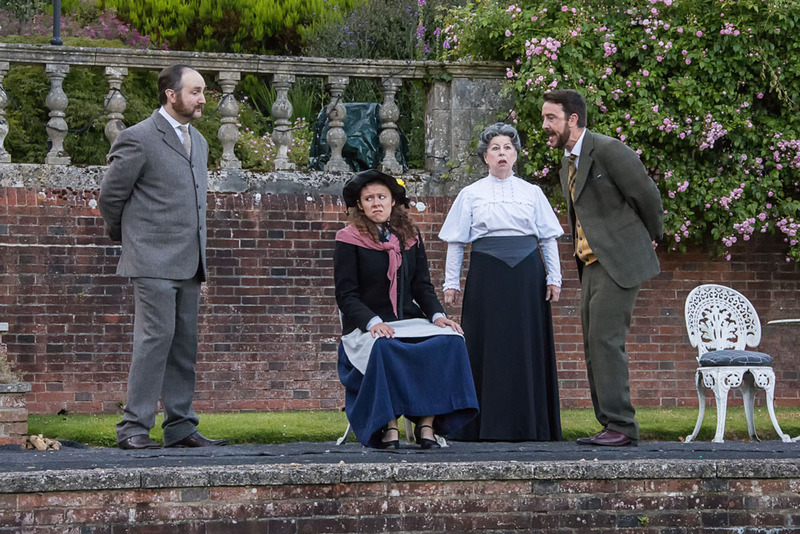 The lesser roles of Higgins's aristocratic mother (Hazel Burrows) and Eliza's dustman father (William Baggs) were well cast and convincingly delivered, and credit should also go those cast as Higgins' housekeeper and the three members of the Eynesford-Hills family (Jennie Watson, Maria Head, Katarina Smith and Christopher Gardener respectively). In short, a very special production in a very special setting. You would be well advised to go and see it if you can. 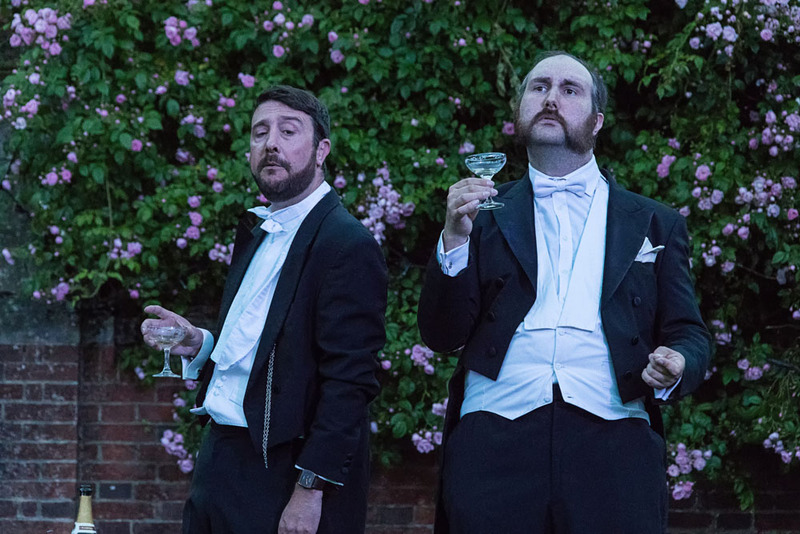 As we post this review, it’s absolutely hammering down outside Winchester Today Towers – and the Maskers are probably really glad of having the night off. But as David Cradduck discovers, such is the British summer! 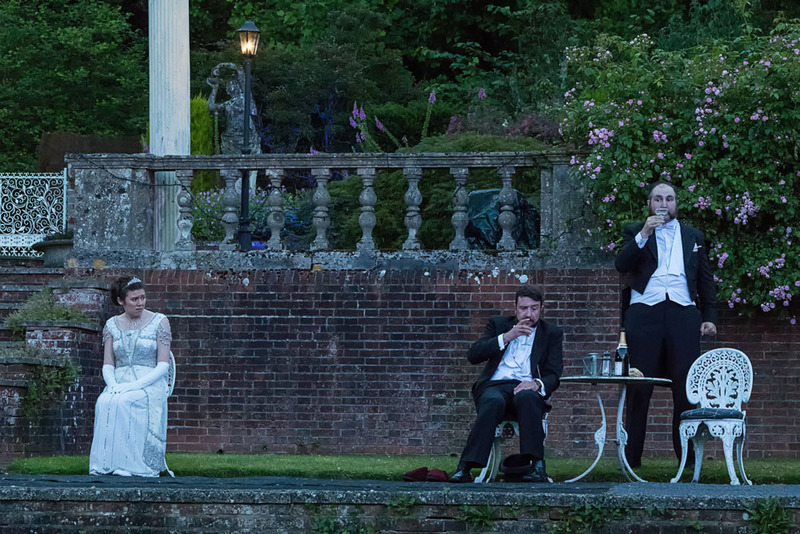 : It simply wouldn’t be summer without the Maskers’ two week outdoor July extravaganza, now in its ninth year set on the beautiful archery lawn at Hamptworth Lodge and previously at Mottisfont Abbey. Regular audiences know the routine very well: bottles of bubbly, strawberries, picnic rugs and anti-insect spray. 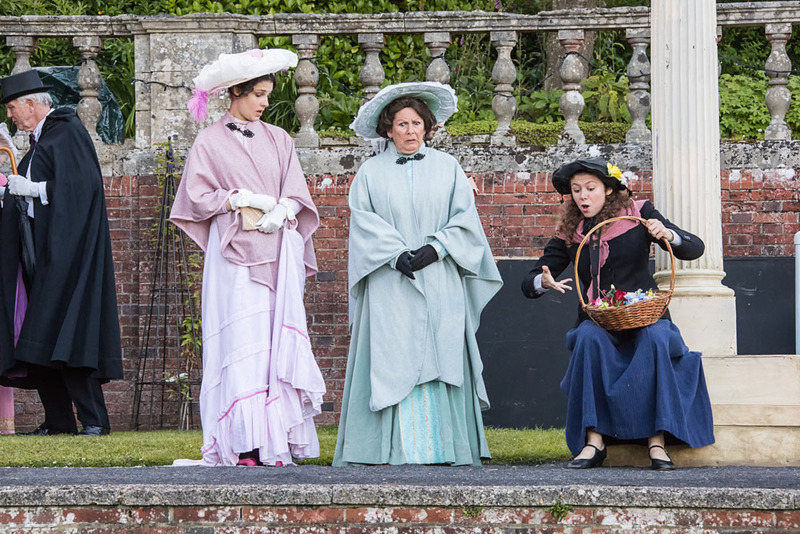 The pre-show picnic is as much a part of the evening’s entertainment as the play itself – even when it patters with good old fashioned English summer rain. There is nowhere quite like Hamptworth for ambience, splendour, acoustics and sheer space – the latter becoming a little too obvious when audiences are a bit on the small side which sadly was the case last night. The natural staging area, raised at one end of the lawn and approached by a series of steps, lends itself very well to all manner of shows, especially the swashbuckling, action-packed variety that Maskers excel at. 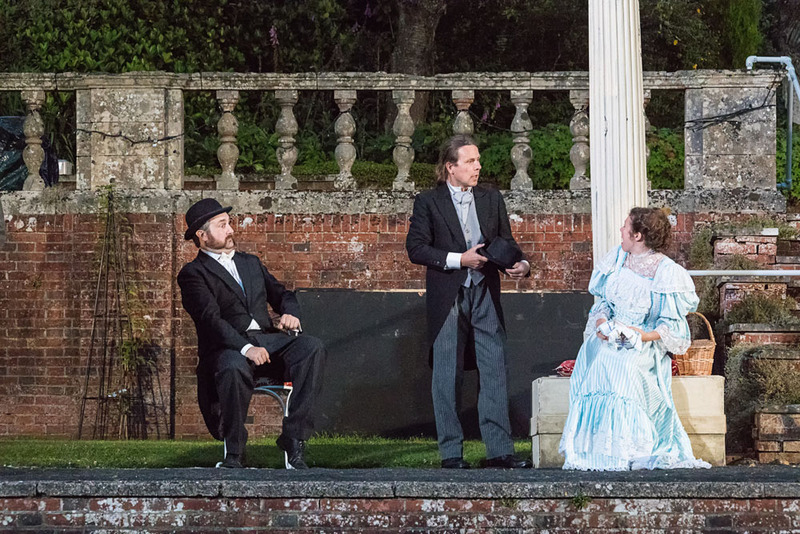 Pygmalion, George Bernard Shaw’s original story of Cockney flower girl-made-posh and the source and inspiration for its better known musical counterpart My Fair Lady, is a little bit of a strange choice for a grand outdoor performance; it is quite wordy, has many two/three handed scenes, is fairly static and is set mainly indoors. It also relies on facial expressions (especially Eliza’s) which are lost at any distance. So it’s a shame in a way that the beautiful, and huge, setting at Hamptworth is under-utilised for this piece. 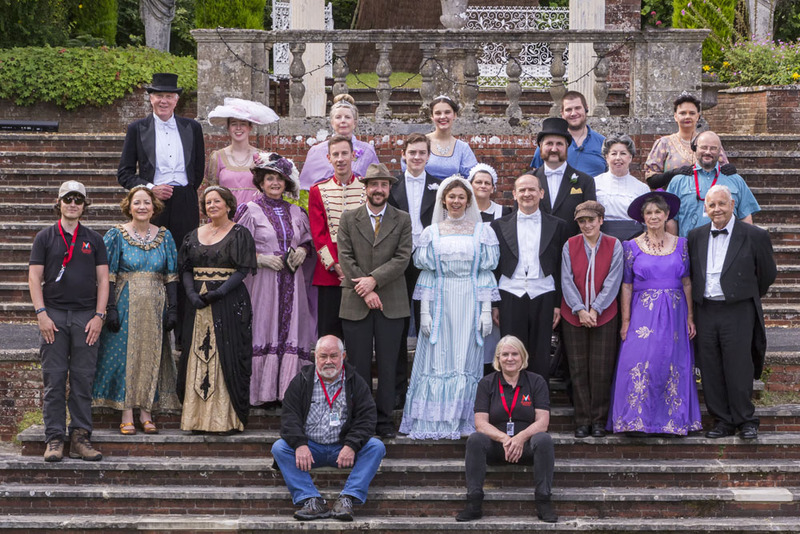 Director Meri Mackney, long time member and current chair of Maskers, tutored her cast well and nearly all roles were well cast, especially the principal roles of Eliza Doolittle (Katherine Evans), Professor Henry Higgins (Jonathan Barney-Marmont) and Colonel Pickering (Adam Taussik). Katherine Evans in the lead role was exceptional and her nasal wailing “Oim a good gal, Oi am!” was a joy. Adam Taussik, as the pompous but lovable Pickering was the epitomy of the pre-WW1 ex-military gent (a reminder of Holmes’ stable companion Dr Watson) and Jonathan Barney-Marmont made a suitably arrogant, troubled Higgins, although he was a little too aggressive at times and I was distracted occasionally by his energetic leg movements. Bringing up the second tier of lead actors were Hazel Burrows, a fine performance as Higgins’ intelligent and even tempered mother, Jenni Watson as the formidable Mrs Pearce, Higgins’ housekeeper, Maria Head and Katarina Smith as socialites Mrs Eynsford-Hill and her daughter Clara, and William Baggs as a somewhat youthful Alfred Doolittle. A fine array of supporting cast including Maskers veterans Paul Baker, Brenda and Bruce Atkinson and Alan Watson, added colour and activity to what would otherwise be a slightly staid affair. Of course we mustn’t overlook dippy hero Freddy, played with suitable gusto by Christopher Gardener, complete with striped blazer and boater, who added the romantic element. Pygmalion may play second fiddle to its more popular musical sister (you have to resist the temptation to break into “I’m getting married in the morning”) but Bernard Shaw’s clever observation of the ridiculous pomposity and shallowness of the English male of the era and the way he paid lip service to women’s emancipation, is a classic and in many ways is the more meaningful version. It’s Oliver Twist compared with the musical Oliver! – less memorable but far more enjoyable as a statement on the class structure and extremes of society of the time. There were some nice touches – for instance the full-size cut-outs of taxi and grand car, complete with bicycle wheels and Flintstone walk-along propulsion did not spoil the piece but lent some additional light moments. Full use was made of all permutations of entrances and exits; wigs and costumes were suitable authentic and colourful, and lighting was subtle but appropriate. I missed the traditional pyrotechnics so often part of the finale at Maskers’ outdoor shows and the final line-up was a trifle apologetic (I wasn’t sure if it had finished or not). I came away convinced that it would have been a better choice for their January Nuffield Theatre slot, but all in all, this was a fine, polished performance from a very talented group that never ceases to deliver the ambience and style that has become their summer trademark. So put your picnic together, grab the rug, chairs and insect repellant and get yourself down to join in this wonderful taste of English summer in a perfect setting. From cockney flower-girl to duchess - will Eliza pass the test? Henry Higgins, Professor of linguistics, seeks to impress his new best friend, Colonel Pickering, by vowing that he can pass off a cockney guttersnipe as a ‘lady’ among high society. 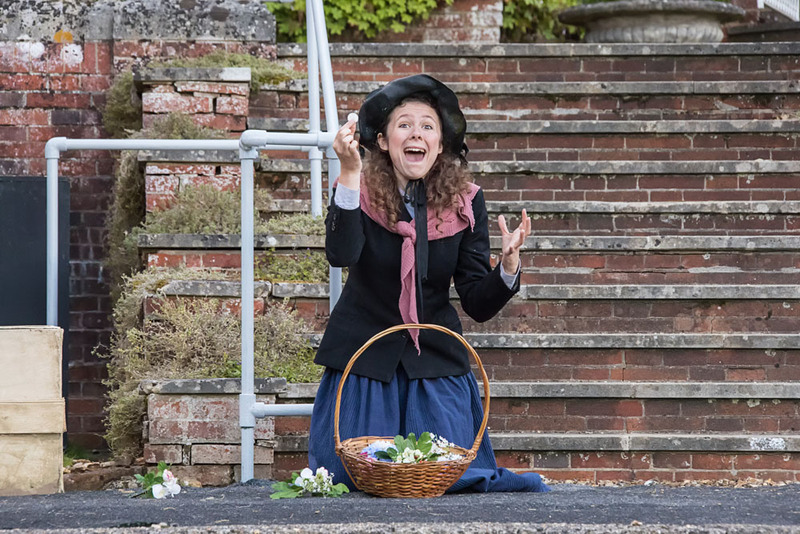 Eliza Doolittle just wants to learn to speak well enough to get a job in a flower shop rather than roaming the streets with her basket, which requires, as Higgins says, rather better English than that required for a duchess. They have just six months to achieve this transformation. Higgins quickly finds that it is easier to change speech patterns than language or attitudes. Bernard Shaw pokes fun at the manners and thinking of pre-First World War society and challenges the unfair dependence of women on men in that society. In the play, there is no physical attraction between Higgins and Eliza, their natural spheres are too distant from one another for that and Higgins never for a moment forgets the flower-girl in the illusion he has created. Others see and accept the new Eliza but for Higgins she will always be a ‘squashed cabbage leaf’. When the play was adapted for film in 1938, Bernard Shaw himself wrote the screenplay and won an Oscar for it. In it he gave way to Hollywood pressure to go for the ‘romantic’ ending rather than the pragmatic ending he insisted on for the play. Later the play was adapted into a musical, My Fair Lady. This is Katherine's third production with Maskers, having previously performed as Cecily Cardew in The Importance of Being Earnest and Emily in Our Town. 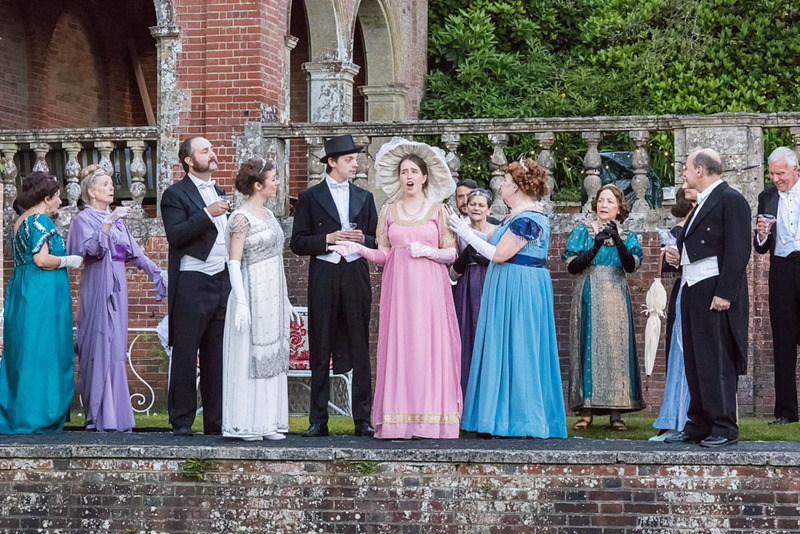 She has dreamed of playing Eliza since appearing as a bystander in My Fair Lady when she was 12, though she will have to be careful not to burst into song this time! She is currently studying Classics part-time at Reading University alongside pursuing her musical and dramatic interests. This is Jonathan's fourth time performing for Maskers after being a member of other societies for a few years. His last show with Maskers was Metamorphasis by Franz Kafka playing Gregor Samsa which could not be more removed from this role. Swiftly after that it was a run at The Mayflower Theatre in An Inspector Calls. Jonathan enjoys playing characters at all points of the spectrum and so has enjoyed playing Higgins. 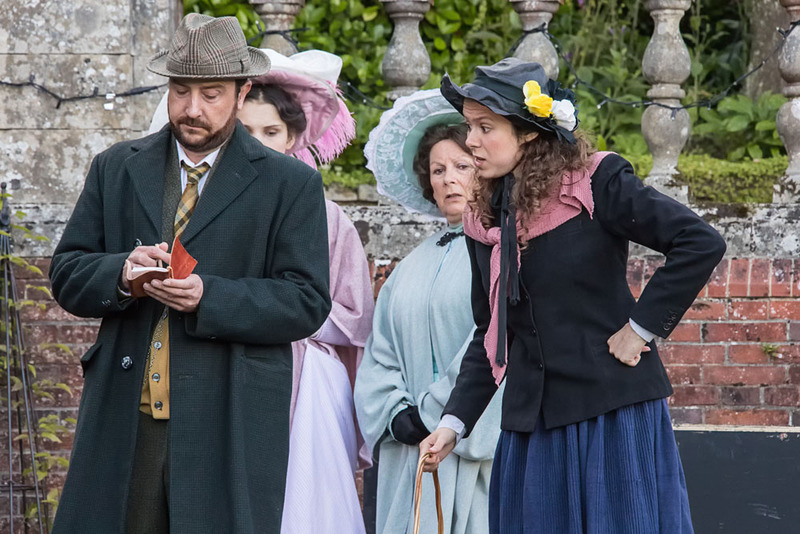 He relishes a return to open air theatre after acting in The 39 Steps at the Minack Theatre in Cornwall three years ago. Since Adam was the Sarcastic Bystander in Maskers' last production of Pygmalion a few years ago, he has been up and down the social spectrum, from servants to kings, and the occasional soldier, ending up as Baloo in The Jungle Book last year. Coming from India, Colonel Pickering has much in common with the bear, inspiring the young hero. When not in uniform, he has another life in Student Services at the University of Southampton. Hazel has been a member of the Maskers since the early 70s, a look at her bathroom wall is evidence of how many productions she has been in with many photos on display! Wives, maids, old men, fairies, aristocrats even a pig. Over the last few years she has been persuaded to take up the challenge of directing, the most recent being Maskers February production of Alan Ayckbourn’s ‘Ten Times Table’ Playing Mrs Higgins in ‘Pygmalion’, a role for a lady of a certain age, has now come her way. The part of a mother who is intelligent, refined and independent... type cast again! Jenni has been bitten by the acting bug since the age of three when she first performed in her local church nativity play! Over the years she has performed for Maskers as well as many other local groups, in a variety of settings. Her favourite roles include Vladimir (Waiting for Godot), Lady Booby (Joseph Andrews), Ellie Dunn (Heartbreak House), Paulina (A Winter's Tale), the Red Queen (Alice) and Nancy (Sitting Pretty). Jenni would like to thank her dialect coach in helping her prepare for the part of Mrs Pearce in Pygmalion. Maria has been a member of Maskers for many years. In September she played Sonia Serebriekova in Brien Friel's Afterplay and also appeared in Room at the Inn, a 1940's Christmas anthology. 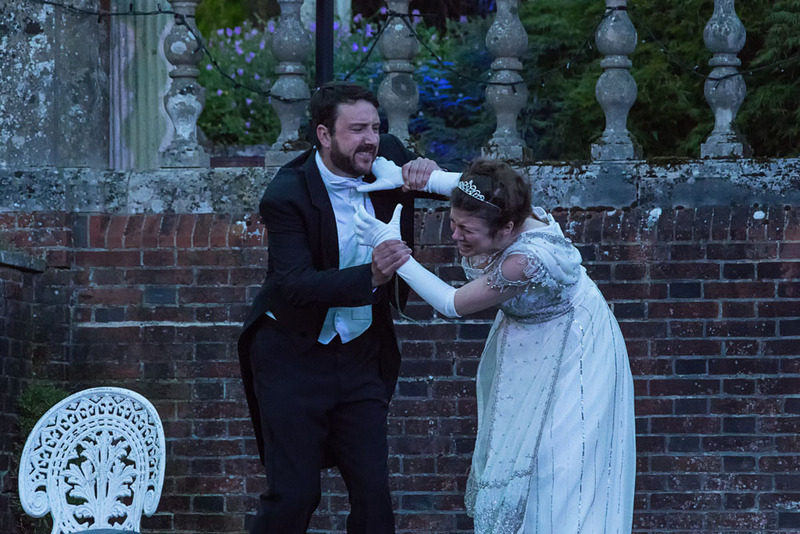 The last time she performed open air theatre was as Mistress Page in The Merry Wives of Windsor at Mottisfont. She is greatly looking forward to performing in the open air once more in such a beautiful setting, hopefully with lovely warm weather! This is Katarina's first appearance with the Maskers and she is excited to be playing the rather silly, but funny and energetic Clara. She is also thrilled to get the wonderful experience to perform at the beautiful Hamptworth Lodge. Previous experience included playing Helena in A Midsummer Night's Dream and Margot in The Diary of Anne Frank with Southampton University Players, Alice in Alice Through a Broken Glass and The White Witch in The Lion, The Witch and The Wardrobe. Christopher Gardener first approached theatre at the age of 12 after discovering a talent for impersonating sci-fi androids. Since then, he has performed in a wide range of productions with several theatre groups, including four pantomimes, The Great Gatsby, Our Town, and Silly Cow. Playing the amusingly buffoonish but lovably earnest Freddy Eynsford-Hill has been an extremely enjoyable experience for Christopher. William has been performing for Maskers for several years now. He started as a mouse in Can you Hear the Music before playing a tiger in The Jungle Book, a lover in A Midsummer Night's Dream, two kings - James I and Richard II, Algernon in Ernest and now a dustman - Doolittle - in Pygmalion. It's always a pleasure to perform in the Hamptworth summer show and he looks forward to going back for the fifth time. Paul joined Maskers in 1996 and has been in every production in the open air since 1996. This year he plays the part of Karpathay who may or may not be foreign. Other roles Paul has portrayed include Thomas Cromwell in 'Anne Bolelyn' and Weasel Norman in 'Wind In The Willows. Sue has been a member of Maskers for a number of years now. She has been involved in plays in the Studio, the Nuffield Theatre as well as outdoor productions for the company. Her most recent performance was as Mrs. Samsa in our Studio production of Metamorphosis, and this will be her fourth appearance at Hamptworth. This is Bridget’s first appearance with Maskers, but she has acted and directed with Southampton University Players for many years. Favourite acting roles include Jones, the schizophrenic murderer in Semblance of Madness by John Newmeir; Dorine, in Moliere’s Tartuffe, and the childlike Rose Mundy in Brian Friel’s Dancing at Laughnasa. Bridget is delighted that her son, Tom, takes to the stage for the first time in this production. With her husband in the crew, it really is a family affair. This will be Jonathan’s fifth production with Maskers and his second at beautiful Hamptworth Lodge having previously appeared in Anne Boleyn in 2013. He is looking forward to playing the Ambassador, alongside Bridget Wilkinson, to whom he has been married or romantically linked in a number of previous stage productions over the years! 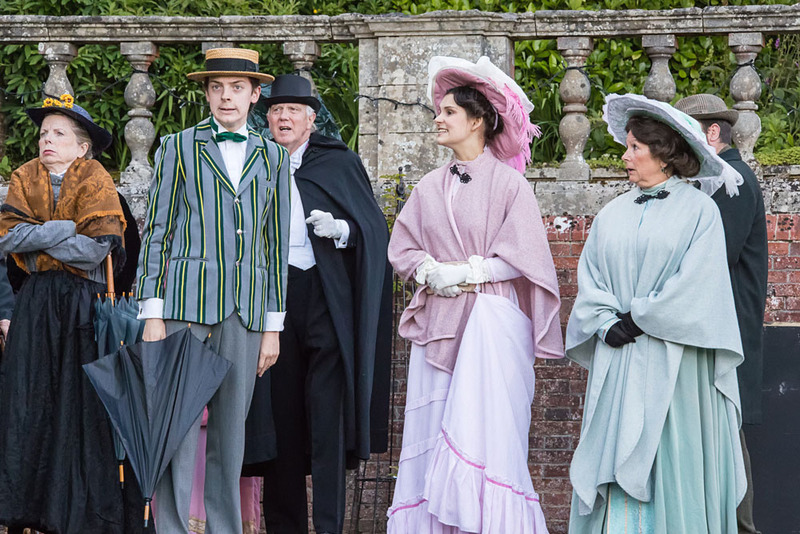 This will be Marie’s third outing on the Hamptworth stage – from Shakespearean fairy to Kipling’s jungle Panther she is finally in human form – and looking forward to period costume that includes an umbrella! Joanna has been a member of Maskers for just over 12 years. She has had varying roles during these years, her favourites being Ruby Birtle in J.B. Priestley's When we are Married and Rita in Willy Russel's Educating Rita. Most recently she appeared in Berkoff’s adaptation of Kafka’s Metamorphosis as Gregor’s sister Greta. In 2014 she had a very successful directorial debut with Thornton Wilder's Our Town which won two Curtain Call awards. She is keen to direct again but, for now, she is pleased to be back at Hamptworth as Sarcastic Bystander – one of the most famous bit-parts in theatre. Bruce has been a Masker for many years and played many roles. He enjoys the open air shows and has previously been seen at Hamptworth as an elder of the wolf pack in The Jungle Book and Dr John Reynolds in Anne Boleyn. He is having fun getting his tongue round the interesting names invented by the cast for their characters at the Embassy Garden Party. Single child ticket (under 16s): less £2.00 on the ticket price of any performance. Babes in arms free of charge. Tickets also available in person from the Romsey Heritage Centre and The Notes Cafe in Southampton. Patrons are welcome to picnic in the beautiful gardens of Hamptworth Lodge from 6.00pm (1.30pm on Sunday 10th July). You are advised to bring low back chairs, rugs etc., as NO SEATING IS PROVIDED. We suggest you also bring jumpers or coats, as it can get cold even on the warmest of evenings. Any decision to cancel a performance due to bad weather will not be taken until the performance start time; patrons may then be offered a ticket for another night. NO REFUNDS WILL BE GIVEN. Hamptworth Lodge is a private home not generally open to the public and there is no public access prior to the performance dates. Ample free parking and toilet facilities will be provided with provision for disabled patrons. There is a short walk of approx. 100 metres to the performance area. Hot and cold drinks and snacks will be available to buy. No unaccompanied children under 16. No dogs (except guide dogs). Note: We are not licenced to sell alcohol on site, but patrons are welcome to bring their own.